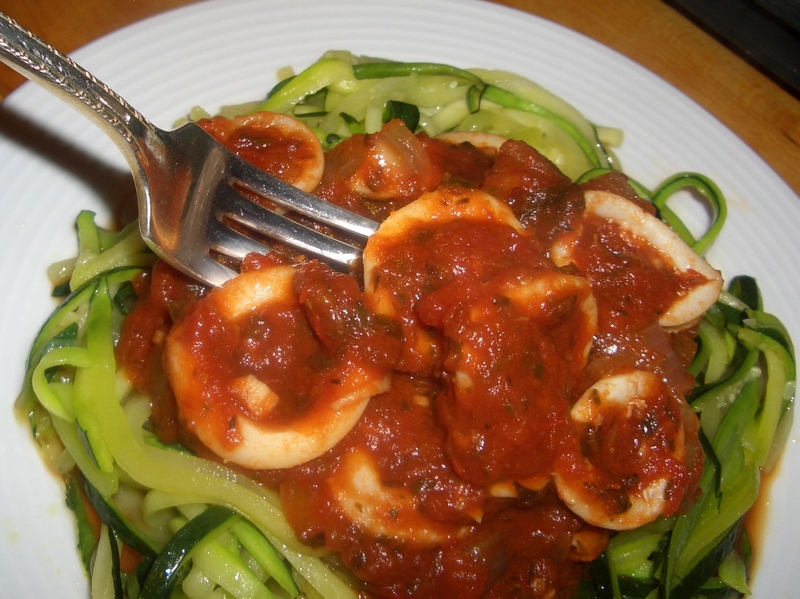 You could substitute clams, mussels, or shrimp for the calamari, just cook them until done (longer than the calamari). In a 1-quart saucepan, over medium high heat; heat the oil. 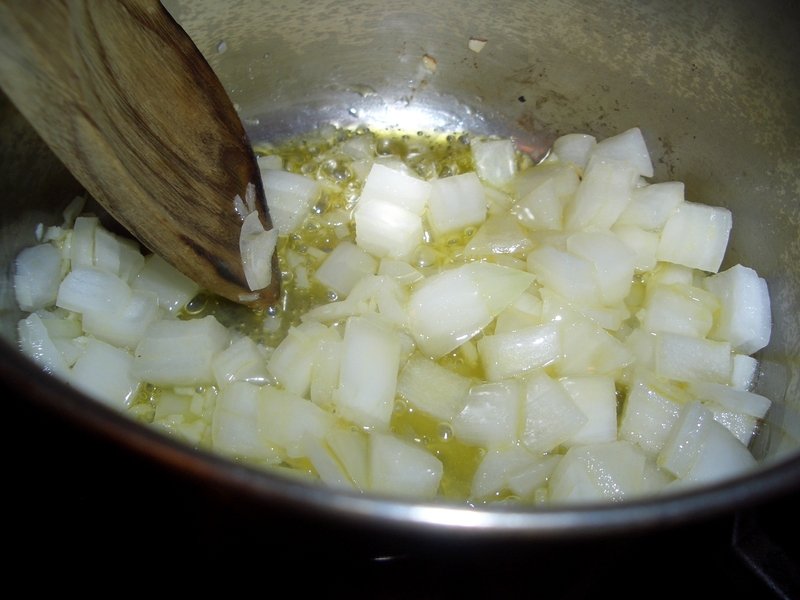 Add the onion and garlic and cook, stirring, until softened. 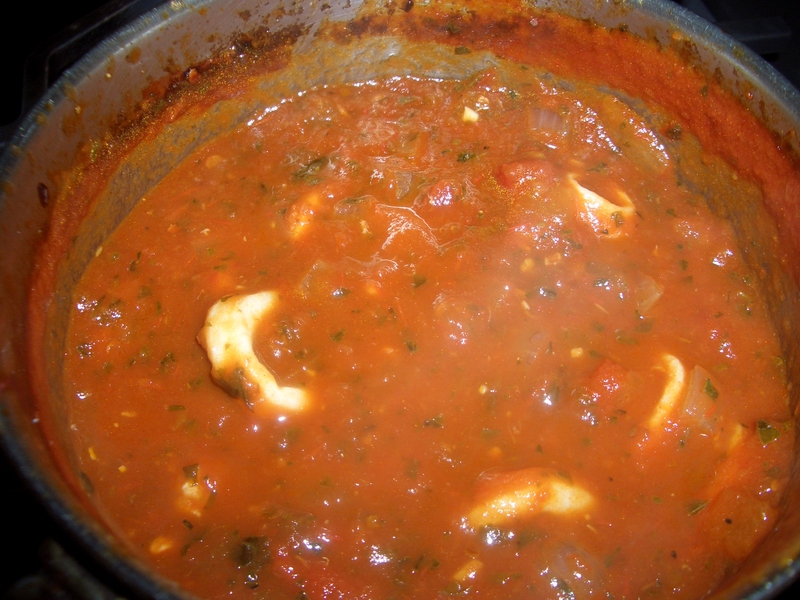 Add the tomatoes, water, wine, orange juice, basil, thyme and red pepper flakes. Bring to a boil. 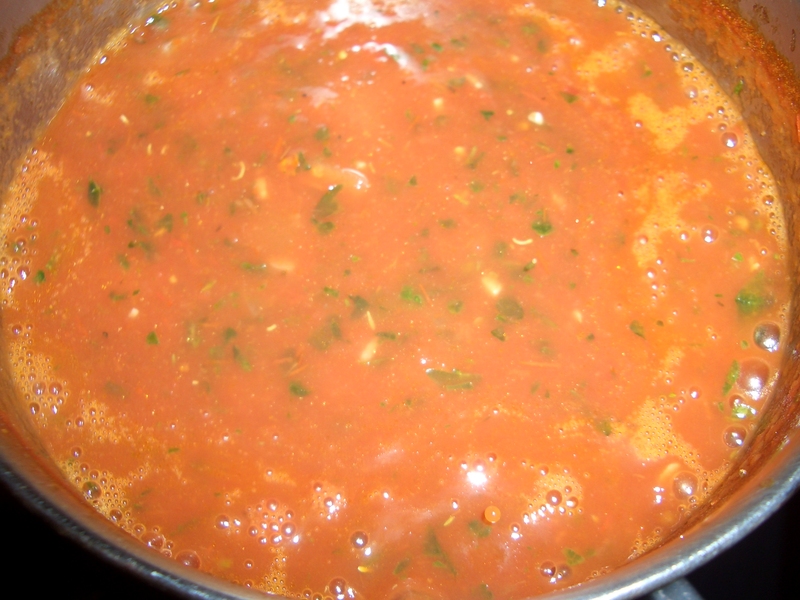 Reduce heat and simmer, uncovered, 20 minutes. 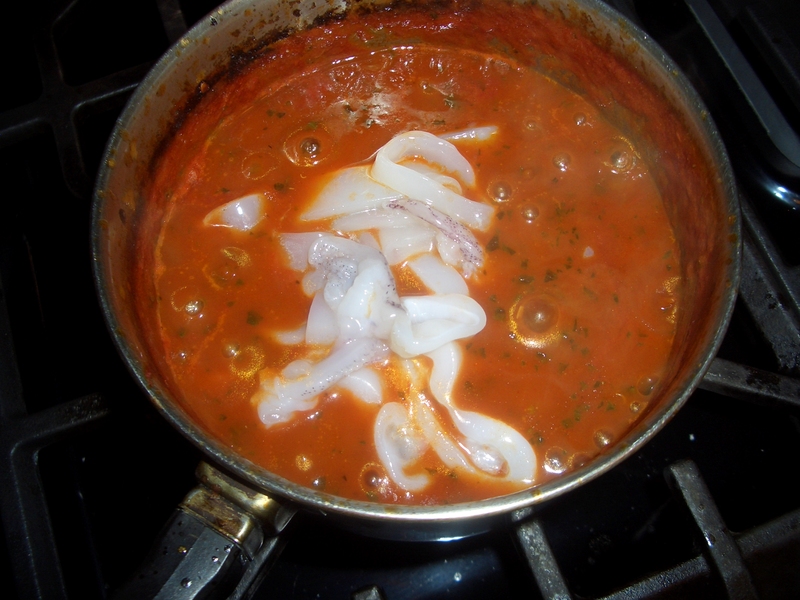 Add the calamari and cook until the fish is just opaque (about 1 minute). Season with salt to taste. 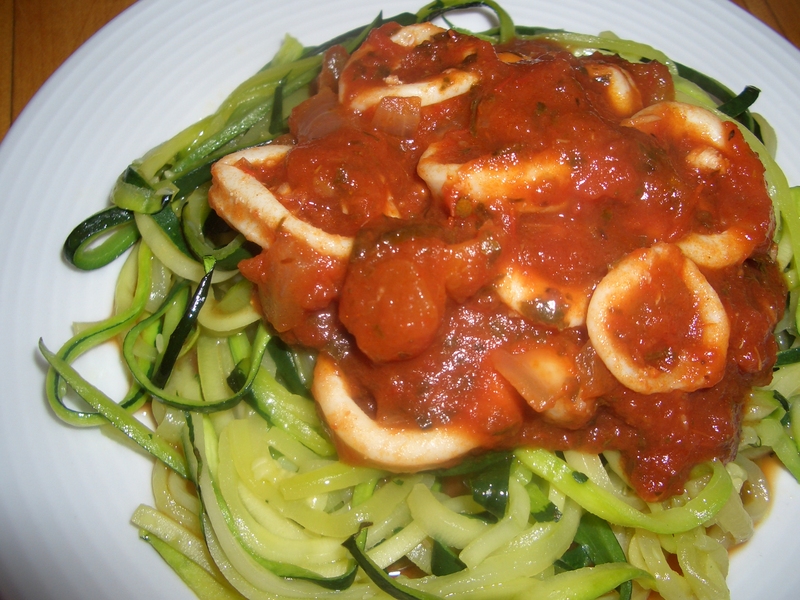 Serve over zuchetti or pasta.